If you want to ensure the longevity of your structure, protecting it with industrial paint or coating is essential. 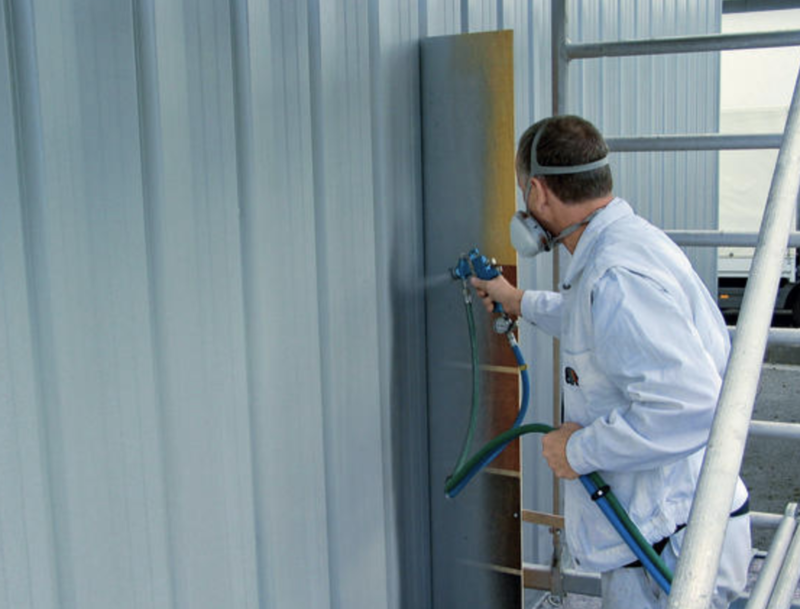 Without the protection offered by industrial-strength paint, your structure can face rust and corrosion, and ultimately cost you money due to damages. To guarantee the long-term preservation of your building or structure, finding an industrial painting contractor who will provide you with high-quality materials and expert labor is key to providing your building with the best chance at weathering the elements. Read on to learn what you should know about industrial painting. Industrial painting, also called industrial coating, is the method of applying paint, varnishes, and other protective coatings on different materials and surfaces. Industrial painters may use their skills to maintain various types of structures such as homes, commercial buildings, different types of automotive or equipment machinery such as large trucks or lifts. What is the Industrial Painting Process? There’s a spectrum of ways that professional painters approach a job, and their methods depend on the type of material they are painting, the environment the structure is in, and the scope of the project. For both residential and commercial painting jobs, painters must adhere to strict government regulations to reduce air pollution and ensure painter and resident safety. There are three major types of industrial paints and coatings available on the market. Those made from ores and clay, paint and coatings which come from crude oil and natural gas, and those that come from seeds and beans. All three types of organic materials can be used in industrial and architectural painting and coating. Each type of coating has different advantages and disadvantages, especially dependent upon the type of material being painted, but the best industrial painting contractors will offer you a variety of tools and materials for your job. As for applying the paint, most often professional painters use various spray methods for the cleanest application. However, it’s not uncommon for painters to use other methods, such as dipping and flow coating. Spray methods are often distinguished by the method of atomization (the process of how finely the paint is separated). These methods include: air, hydraulic, or centrifugal. From there, there are some other sub-categories of coating atomization, but the best choice for your project will depend on the type of paint or coating used. The process of finding the right industrial painting contractor for your needs doesn’t have to lead to a headache. When beginning your search, create a list of prospective contractors who are in your area. When searching online, take the next step and find reviews of the businesses. See if their previous customers seem happy with their work. It’s also appropriate to ask for references. After you’ve narrowed your list down to factor in experience, professionalism, and reputation, contact the top contractors on your list for a proposal. Price shouldn’t be your only factor, however. Be sure to see examples of previous work in the contractor’s portfolio, and be sure to ask plenty of questions about the type and quality of materials and tools they’ll use on your project. Inquire about the size of their team, who will be your point of contact for the duration of the job, and average timeframe for completion. Importantly, ask how the company adheres to governmental standards of reducing air pollutants, how they properly dispose of scrap paint, and what initiatives they’ve implemented to protect their team from environmental emissions while on the job. You've taken the right step in landing on our website and doing your research. Give us a call today for competitive quotes and top quality industrial painting company services!